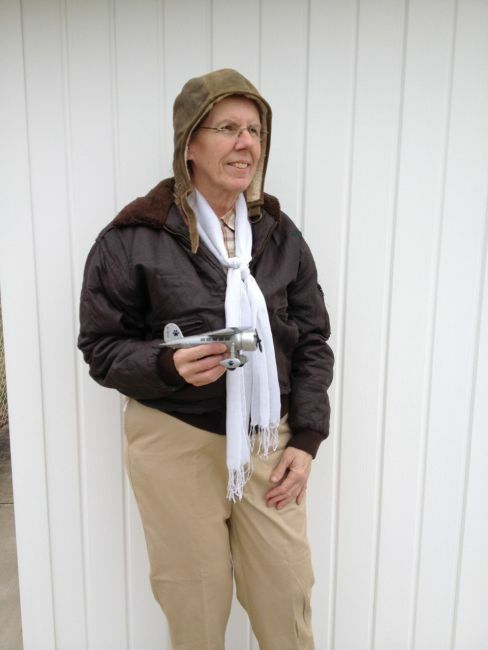 In honor of National Women’s History Month, West Virginia Northern Community College will hold a special Lunch & Learn presentation featuring Amelia Earhart as portrayed by Patty Sue Cooper of the West Virginia Humanities Council. All are invited to share a light lunch and participate in this special History Alive presentation. It will be held beginning at 11:30 a.m. as follows: Wheeling campus, Monday, March 24, B&O Building auditorium; New Martinsville campus, Tuesday, March 25, Room 110, and Weirton campus, Wednesday, March 26, Room 242. Doors open at 11 a.m. for each performance. All those wishing to attend, including students and the public, should RSVP to Ida Williams, student activities program coordinator, at 304-214-8917 or by e-mail at iwilliams@wvncc.edu by Friday, March 21. Please stipulate which campus performance you wish to attend. The program has been made possible by a grant through the Diversity for Equity program of the Higher Education Policy Commission and the Community and Technical College System in West Virginia. Amelia Mary Earhart was born on July 24, 1897, and was an American aviation pioneer and author. Earhart was the first female pilot to fly solo across the Atlantic Ocean. She received the U.S. Distinguished Flying Cross for this record. She set many other records, wrote best-selling books about her flying experiences and was instrumental in the formation of The Ninety-Nines, an organization for female pilots. Earhart joined the faculty of the Purdue University aviation department in 1935 as a visiting faculty member to counsel women on careers and to help inspire others with her love for aviation. She also was a member of the National Woman's Party, and an early supporter of the Equal Rights Amendment. During an attempt to make a circumnavigation flight of the globe in 1937 in a Purdue-funded Lockheed Model 10 Electra, Earhart disappeared on July 2 over the central Pacific Ocean near Howland Island. Fascination with her life, career and disappearance continues to this day.